An additional means of disseminating research results are conferences and workshops. 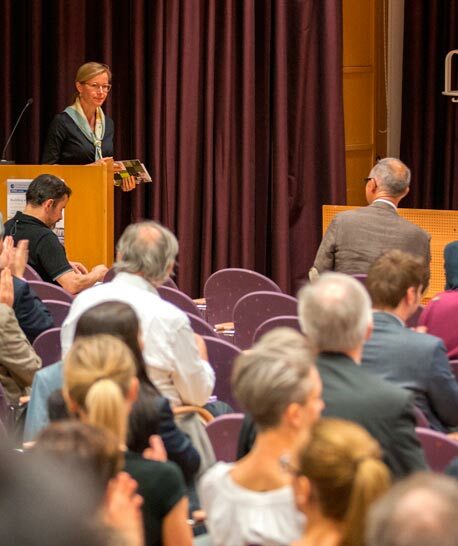 Thus far, EMES has organised its three first International Research Conferences on Social Enterprise in Trento (2001 and 2009), Roskilde (2011) and the fourth one in Liege (2013) and two major international conferences, EMES-ISTR European Conferences in Paris (2005) and in Barcelona (2008). EMES also participated in the 2nd Conference on Social Economy in the Central and Eastern European Countries (Krakow, Poland 2004). In addition, a large number of events and initiatives are carried out by EMES’ members in relation with major research projects. Some of these events take place on a yearly basis while others do not have a specific occurrence pattern.